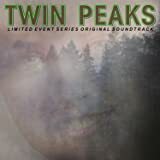 "Twin Peaks (Limited Event Series Original Soundtrack)"
Stream Twin Peaks (Music from the Limited Event Series) by Twin Peaks (Music from the Limited Event Series) and tens of millions of other songs on all your devices with Amazon Music Unlimited. Exclusive discount for Prime members. 4.0 out of 5 starsGreat collection but the soundtrack doesn't contain all the songs in the series. 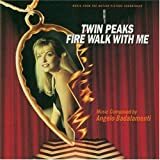 Fantastic series but this soundtrack is missing one song from the Roadhouse by Au Revoir Simone which I liked a lot. Not sure why this wasn't included. 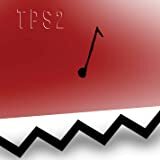 Otherwise it's nice to have so many songs from Twin Peaks The Return in one place. Loved being in Twin Peaks world and miss it already. 5.0 out of 5 starsOutstanding Soundtrack Album to the Limited Event Series of 2017. David Lynch had great taste in music and this mix of various performers and tunes from the Showtime Limited Event Series that was arguably one of the most anticipated programs of the summer along with Game of Thrones and the return of Rick and Morty. If you loved the series and you want a selection of music from the series, this should be enough for most. For those who want mote, the score is also available now and the two should make a fantastic set. Can't wait for the Blu-ray Discs. Highly recommended and you get a free digital copy of the album on Amazon music. In short, it is a win, win deal. Thank you David Lynch. 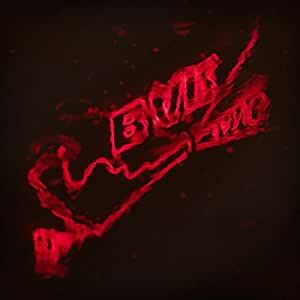 Every time I listen to this album I think of it as a mixtape from Lynch to us old fans that need to hear new music and new fans that need to hear old music. The arrangement on the double LPs is nice, dangerous on one side and sweet and pure on the other. The songs keep a nice pace, set a good mood and the sound quality is excellent. I had a Monterey Pop box set on cassette when I was in high school and I know Otis Redding didn't sound that good on tape. The only complaint is the inclusion of Au Revoir Simone's Lark instead of A Violent and Flamable World which I grew to adore watching the show. Fantastic album!! There isn't a single song on this soundtrack that I don't like. A very eclectic mix, and it flows well. David Lynch has a great taste in music. 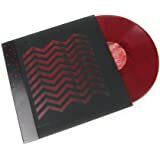 If you don't have the other Twin Peaks soundtracks, I highly recommend them. And Mulholland Drive for that matter. 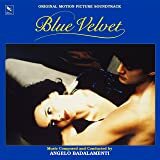 Angelo Badalamenti is a fantastic composer. This wasn't my favorite season, but it was really great seeing so many of the old characters and getting updates on their lives. 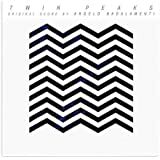 The soundtrack is amazing-ambient, nostalgic yet current, very Lynch. God bless him for bringing James Hurley back in all his high pitched glory. 5.0 out of 5 starsGreat Roadhouse Hits! Fantastic album! Every song played in the Roadhouse from Twin Peaks: The Return. Includes additional vocal tracks from the series. 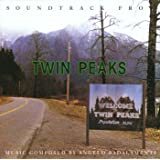 The only track which I thought should've been included in this is David Lynch's remix of American Woman, but this is on the Twin Peaks: The Return original score soundtrack. 5.0 out of 5 starsThe Roadhouse presents..
A moody and eclectic variety. Most impressive when listened to as a whole. The tracks flow into each other to make one dream-like cohesive experience. These tracks were not just thrown on here without attention to detail and placement. Like the show, this is one brilliant experience. 5.0 out of 5 starsAs Steve Irwin would say GOOD STUFF! Love everything about this quirky return. The music sales this macabre tale, of redemption, insanity, long time filled driving sequences. Dreams of Monica Bellucci and the dream man. Eddie Vedder's Out Of Sand is great. Lissie's Wild West is orgasmic in the tone of this Angel in disguise. Great Stuff!